All nine crew members who were aboard a stricken fishing vessel near the mouth of Frobisher Bay in Nunavut have been rescued from a life-raft and are on board the ship Pamiut, the Canadian military's Joint Task Force Atlantic said Monday evening. All nine crew members who were aboard a stricken fishing vessel near the mouth of Frobisher Bay in Nunavut have been rescued from a life-raft and are on board a Danish ship, the Canadian military's Joint Task Force Atlantic said Monday evening. 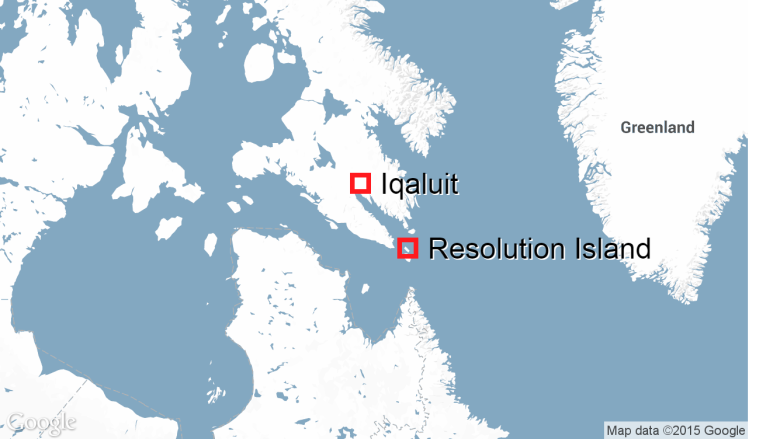 The rescued crew were on their way to Iqaluit, a journey of about 400 kilometres that will take several hours. The ship, the FV Paamiut, may also have to wait for high tide before the men can be brought ashore. The crew was on board the Atlantic Charger when it got into trouble earlier Monday. The owner of the Atlantic Charger, Brad Watkins, said he got a call around 1:30 p.m. local time that the ship was taking on water off Resolution Island, near Frobisher Bay. The crew spent several hours on a life-raft waiting to be rescued. Earlier Monday, the Joint Rescue Coordination Centre in Halifax said the crew was well-prepared and were in good health. Several ships in the area headed to the scene. A Hercules aircraft had dropped a radio and other supplies to the nine people. Rear-Admiral John Newton of the Canadian Forces told CBC News a storm had blown through Hudson Bay and Baffin Bay, bringing swells as high as six metres earlier in the day. He described conditions as cold and windy, with a lot of vertical moment. Newton said the men "are in great spirits and they are happy to be on board." The weather conditions in Iqaluit — the nearest community to the ship — was 1 C and partly cloudy. The Atlantic Charger was registered in St. John's in 2012. 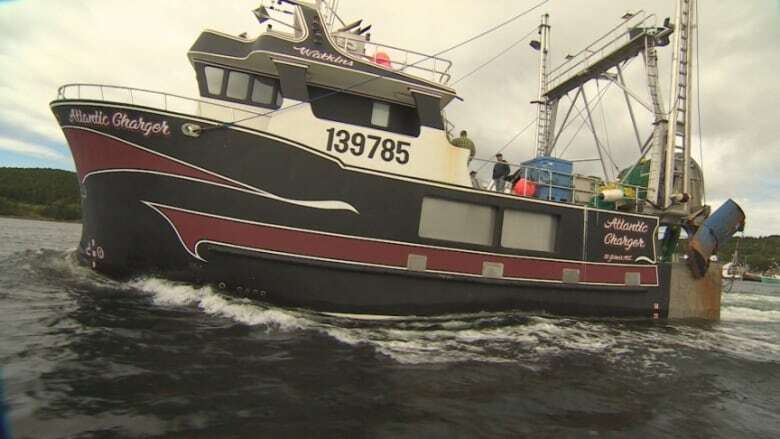 The 20-metre vessel was designed by TriNav Marine Design and built by Val Cull of Northern Boat Building and Repair in Port Saunders, N.L. Initial reports were that the boat had sunk, but authorities later clarified that the boat was taking on water. Watkins confirmed that the ship is partially submerged. An earlier version of this story incorrectly said the crew had been rescued and were expected to arrive in Newfoundland late Monday evening. In fact, they were safe on a life-raft awaiting a rescue ship, which was expected at that time.